America's favorite superhero swings onto the Broadway stage. It's every mother's dream to see her son grow up to be a hero! 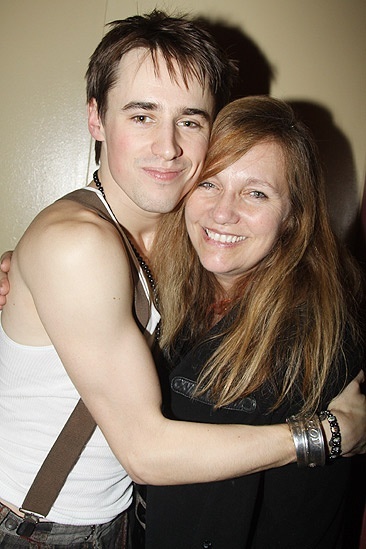 Reeve Carney hugs his proud mom, Marti Heil. The cast of Spider-Man, Turn Off the Dark celebrates the show's first performance on November 28, 2010.